Self Storage Insurance in Farmington Connecticut - Wentworth, DeAngelis & Kaufman, Inc.
Insuring your self storage facility bonds in Farmington, Connecticut area, can be confusing with all the options and coverages. Let one of the professional agents at Wentworth, DeAngelis & Kaufman, Inc. help you find the right company at an affordable price. 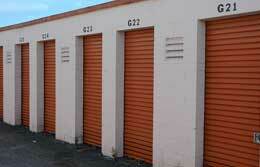 Contact us to find out more about Self Storage insurance in Farmington, Connecticut area.